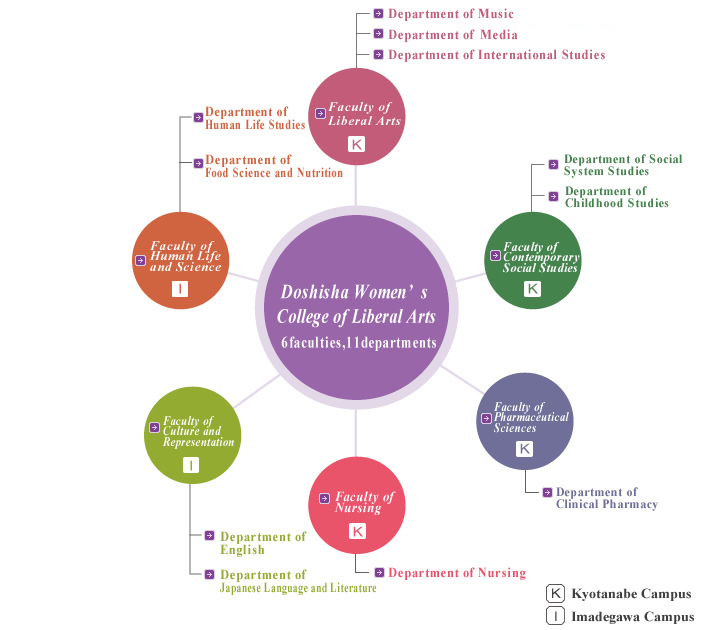 Doshisha Women's College of Liberal Arts offers you the opportunity to acquire advanced knowledge in your area of specialization while receiving a broad, interdisciplinary education. Choose your major from a wide range of fields across 11 departments in six faculties. Hone your intelligence and polish your sensibility while you enjoy studying in Kyoto, the city of tradition and enterprise. There are currently eight majors in five graduate schools .Through individual tutoring and comprehensive study of the latest research findings, students aim to establish themselves as professionals in their specialized fields. Besides recent college graduates we also welcome mature students and international students, and continue improving our curriculum to cater to a wide range of students. 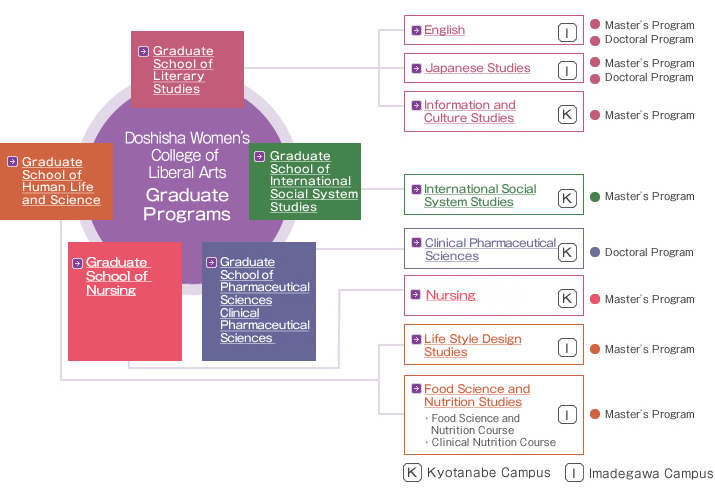 Copyright (C) Doshisha Women's College of Liberal Arts, 2015 All rights reserved.